Registration fees for dellegates cover access to scientific events, registration pack, coffee breaks, lunch and conference dinner.Registration fees for accompanying persons cover the conference dinner. Description: Registration fee 2NCWE-2019 for "name" "surname"
It is the delegate's responsibility to investigate the visa requirements. 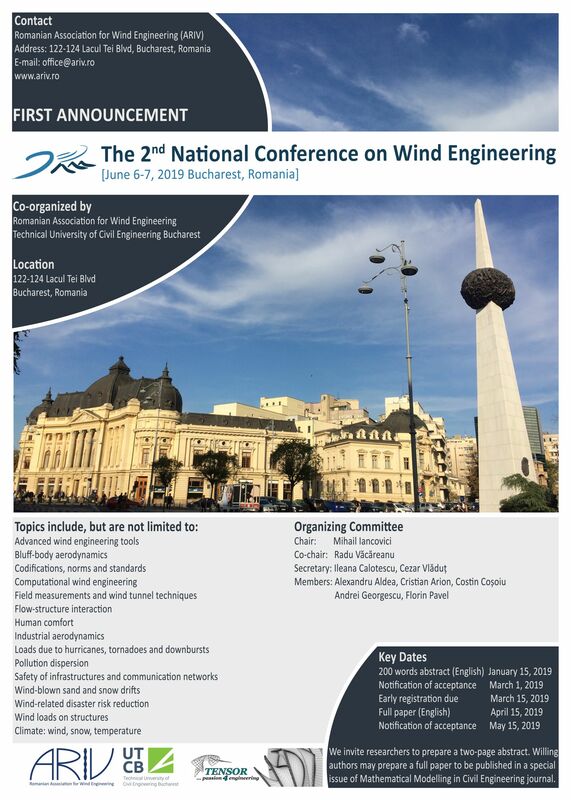 Individuals requiring an official Letter of Invitation from the conference organizers can request one by email at office@ariv.ro. To receive a Letter of Invitation, delegates and accompanying must first register for the conference, pay in full and submit any required supporting documents (if applicable) before a Letter of Invitation will be issued. The Letter of Invitation does not financially obligate the conference organizers in any way. All expenses incurred in relation to the conference are the sole responsibility of the delegate. The Letter of Invitation does not guarantee an entry visa to Romania. Application for Romanian visa may be done online here. Follow this link for detailed visa information.